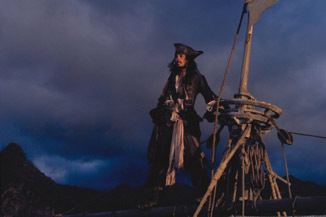 The role of Jack Sparrow changed the minds of people across the world regarding Johnny Depp. He went from quirky, frustrating outsider to one of the biggest stars in the world. The movie has earned over $650 million world-wide, received five Academy Awards nominations and spawned two sequels. Sure, it's a fantastic, old school Hollywood epic...but how well do you know it?